The 572 km overland journey is open for just few months in a year i.e. from June to end of September. 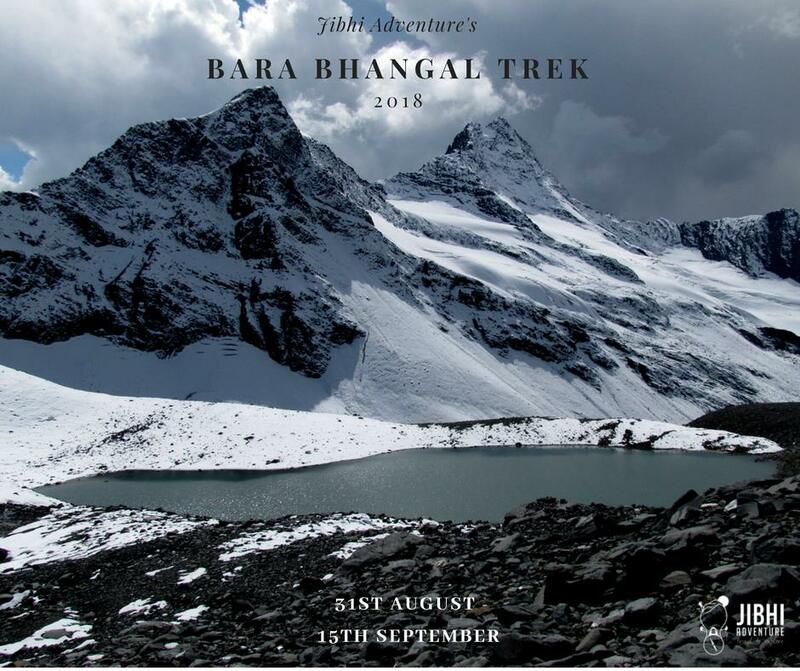 The bike safari trip from Manali to Leh can be extended to Nubra valley across Khardung La pass, the highest motorable road in the world or to Srinagar after crossing Zojila Pass. The Manali to Leh drive will be completed in three days with an overnight stay at Jispa and Sarchu. The journey starts from Manali driving through the lush green and foggy hills offering a splendid view of Kullu valley on the way. Fly in to Chandigarh Airport our innova’s will pick you up from the Air port to Jibhi. After breakfast, meet our bike expert, Guide, crew & mechanics. They will assist you about the with bikes and routes. After briefing take a acclimatization tour by motor bike and get familiar with the bikes. Dinner & overnight stay at Jibhi. Early in the morning ride your bike towards Jispa via the Rohtang Pass. The drive starts at Jibhi heading towards NH 21 to the basin of Beas river slowly winding up mountain roads till Rohtang Pass at 3,980M which connects the Kullu to the Lahaul valley. On entering the Lahaul valley we see a distinct change with the Hindu influence being replaced with the Buddhist religion. In the morning after breakfast leisurely ride over the scenic Baralacha Pass (4880 M). Plenty of stops to capture the scenic grandeur of this majestic landscape dotted with snow capped peaks and high altitude lakes. After crossing the pass drop down to the vast Sarchu plains. 6 hours ride. Dinner and overnight in tents. 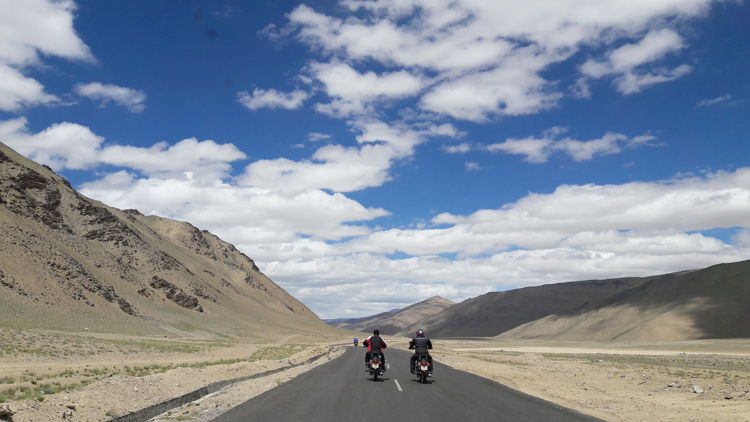 Early morning ride your bike to Leh gives you a feeling of being in the high Tibetan Plateau. One climbs a series of Galta loops consisting of 32 hairpin bends on the way up from Sarchu and come out in Pang valley. Cross to the other side of the Pang, Tzanspo River to continue drive up to yet another plateau for a long traverse on the legendary Moore plains. The highest of the Tibetan Plateau at 4200 Mts. Continue driving Tanglang La (5280 Mts.) the second highest motorable pass in the world that commands breath taking views of the Zanskar range. A pleasant drive about 20 Kms brings you to the Ladakhi hamlet, Gya, heralded by prayer flags. After crossing few more villages one reaches the great Indus River. Further ride to Leh town, over night at hotel. Leh: Leh is the fascinating capital of the Autonomous Hill Council of Ladakh, also known as Little Tibet. The important monasteries to visit in and around Leh are Shey, Thiksey, Hemis, Spituk, Shakar as well as the Shanti Stupa, Stok Palace and main Bazaar. The Leh palace dominating the town was the former home of the Namgyal Dynasty. The monastic festivals are very popular and Hemis, Phyang and Lamayuru festivals in summer are visited by lot of tourists who throng to see the Cham Dances. After Breakfast leave for Pangong Lake (14,500 ft), through Changla Pass 17,350 ft., it is the third highest motorable road in the world. Arrive Pangong, which is the highest salt water Lake in the World, shared by two countries India & China. Enjoy the beauty of the lake. It will be a long and beautiful day on the road. 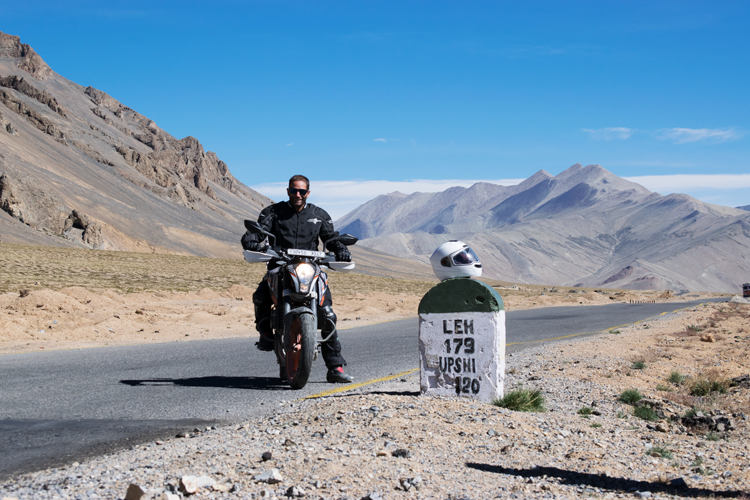 In the morning ride for the Khardung – La Pass. This is the ultimate challenge of the trip. It is the highest motorable road in the world taking you to a dizzy 5,600m! The view from the top is spectacular, stretching from the Indus valley in the South over the endless peaks and ridges of the Zanskar range to the giants of the Sesser Massif in the North. You can feel proud of a true achievement as you finish the trip with your final satisfying descent. Our mechanic will be equipped necessary spare parts and tools to carry these repairs on the spot. Internal damages if any would be borne by us i.e. if you have a problem with the engine, cylinder head or gearbox. In case the bike is beyond repairs then we can work out a way of replacing your with another bike. However, repair and maintenance such as broken control cables, burnt out bulbs and electrical parts, oil seals, topping up engine oil, flat tires, burnt clutch plates will be borne by you. You will be also liable for any external damages like broken indicators, damaged wheel rims, bent front forks, small dents caused due to some fall etc. the expenses of these will be taken on actual cost basis. Small scratches will be tolerable. In case of mishappening where a bike is badly damaged or stolen you will have to immediately inform us and we will let you know the best possible way to deal with the matter in which we will try to involve the insurance company for compensation. In the event in which the bike gets stolen or damaged, will then be charged to you on actual cost basis. We will then file the case with insurance company for compensation which may easily take 3-6 months to materialize and once this has been done we will reimburse the same to you in your country. The following documents should be send to us prior to the commencement of the tour. The photo copy of Identity Card of each participant. We assure you of our best and personalized services and wishing you a very enjoyable and memorable time with us in the land of high passes; Ladakh. Interested in Trans Himalayan Bike Safari?